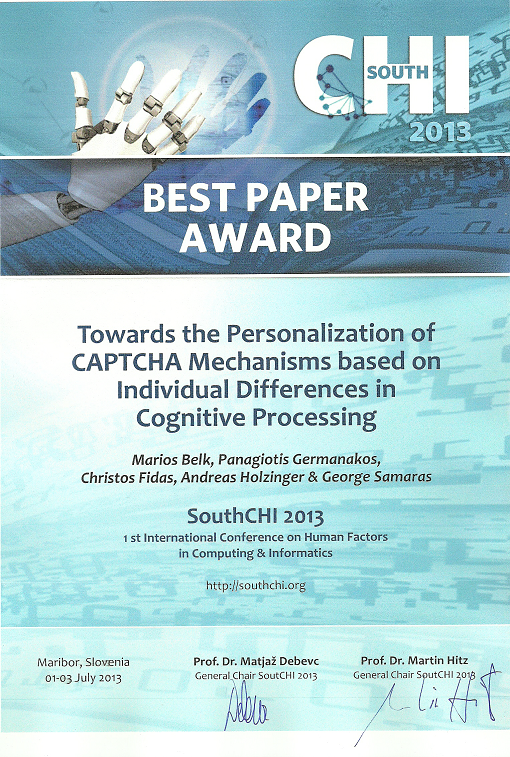 Best Paper Award - Marios Belk, Panagiotis Germanakos, Christos Fidas, Andreas Holzinger, and George Samaras, for the paper namely, " Towards the Personalization of CAPTCHA Mechanisms based on Individual Differences in Cognitive Processing". Please visit Human Factors in Computing & Informatics (SouthCHI 2013) conference. 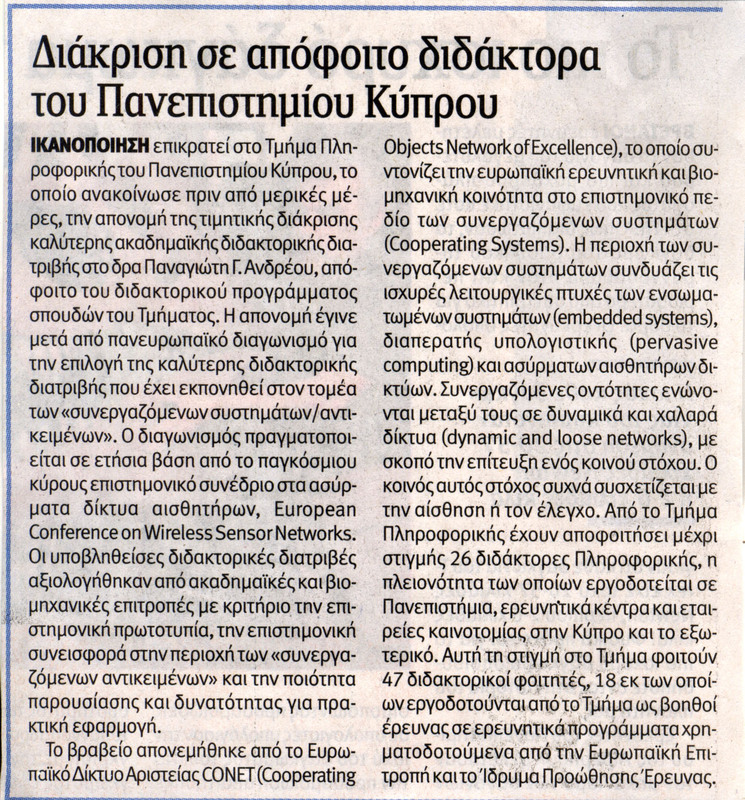 PhD Academic Award - Panayiotis Andreou from the University of Cyprus, Cyprus for his PhD thesis (under the supervision of Prof. Samaras) titled "KSpot+: A Network-aware Framework for Energy-efficient Data Acquisition in Wireless Sensor Networks". Please visit EWSN 2012 Awards. Best Student Paper Award - Nikos Tsianos, Zacharias Lekkas, Panagiotis Germanakos, Costas Mourlas, and George Samaras, for the paper namely, "User-centered Profiling on the basis of Cognitive and Emotional Characteristics: An Empirical Study". 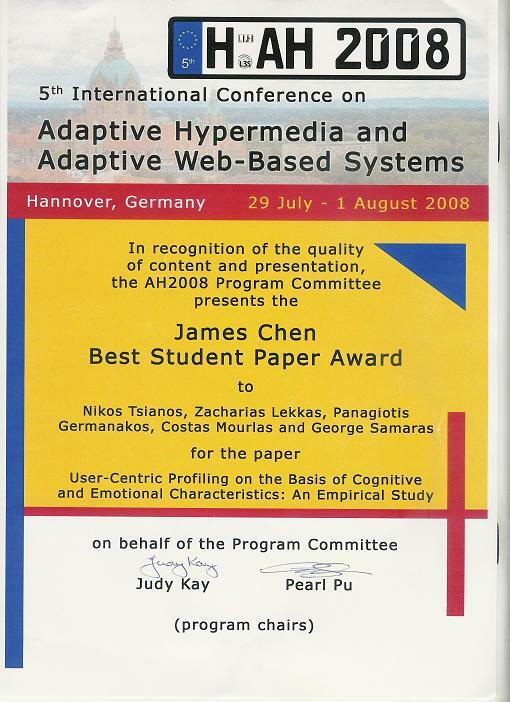 Please visit Adaptive Hypermedia and Adaptive Web-based Systems (AH 2008) conference. 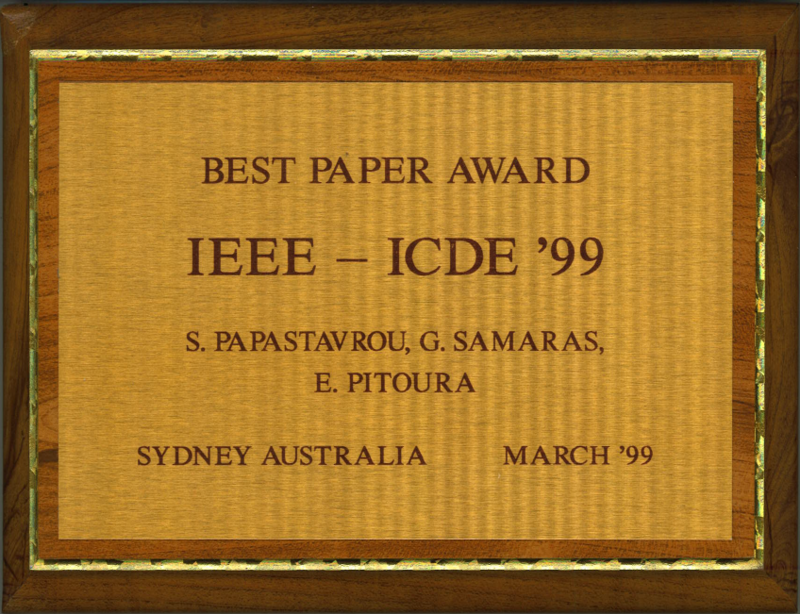 Best Paper Award - Papastavrou S., G. Samaras, E. Pitoura, for the paper namely, "Mobile Agents for WWW Distributed Database Access". International Data Engineering Conference (ICDE 1999) conference.